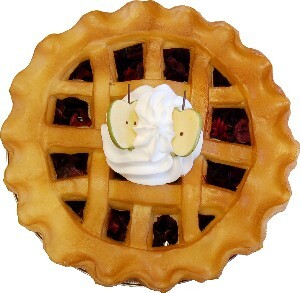 I love this potpourri pie! It looks so real and it smells like apples, even better. It shipped quickly too! Thanks! Not as impressed..seen better. Picture shows better. Potpourri really does not smell like an Apple Pie. Liked the other items ordered better; but still used it in staging for a house for sale.